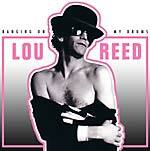 "In December 1972 Lou Reed released his seminal, ground-breaking solo work Transformer. The album came just a few months after his eponymous debut, a record that struggled to find either a clear artistic voice or much of an audience, barely scraping into the top two hundred and drawing sniffy, dismissive reviews. Recorded in the summer of 72, Transformer signally benefitted from the intervention of David Bowie and guitarist Mick Ronson. Reed had been a key inspiration for Bowie in his own work, and he was determined to rehabilitate his idol's flagging career. The partnership of a New York eccentric and a British androgyne with a firm grip on the zeitgeist produced a lean collection of modern rock n roll that stormed the higher atmospheres of the charts, aided in no small part by a hit single in 'Walk on the Wild Side'. In the decades since Transformer has gone on to be critically appraised as one of the most important recordings of the modern era. This concert is from December 1972 a month, following the release of Transformer. Taking place at Ultrasonic studios in New York, it was broadcast live by WLIR, a local radio station that had developed a reputation for eschewing mainstream acts and chart performers in favour of featuring new and innovative music that was largely ignored by the majority of US stations. 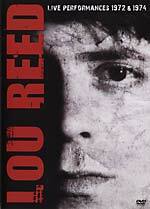 Reed gives a searing performance of songs from Transformer, Lou Reed and the Velvets period, a fascinating essay of his solo career and persona, right at the time that his fortunes were transformed." 180-gram vinyl. Lou Reed's 1976 album Rock and Roll Heart wasn't a showcase for the usual diverse aspects of his musical outpouring; it was a shower of bullets, shot at any given interested targets. Unfortunately for Reed, most of the shots missed, but we can be certain that the gun was loaded. His Boston show from October 1976 at the Orpheum Theatre drew the usual suspects with a snapshot of young punks, and included a performance of "Heroin" that differs remarkably from the more familiar versions rolled out on stage in the early days with Nico et al. and on Transformer (1972). WBCN-FM's presence warranted expectations that Reed may not have wanted or respected, but his vision is rarely blurred. The familiar resolute figure took the stage with the singular demeanor he was authorized to parade, but with the quiet seduction and subdued authority that always set him apart. 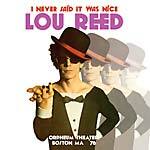 Echoes proudly presents the entire original WBCN-FM broadcast of Lou Reed's astonishing performance at the Orpheum Theatre in Boston, Massachusetts, on October 29, 1976. Professionally remastered original FM recording with background liners and rare archival photos. Lou Reed's 1976 album Rock and Roll Heart wasn't a showcase for the usual diverse aspects of his musical outpouring; it was a shower of bullets, shot at any given interested targets. Unfortunately for Reed, most of the shots missed, but we can be certain that the gun was loaded. His Boston show from October 1976 at the Orpheum Theatre drew the usual suspects with a snapshot of young punks, and included a performance of "Heroin" that differs remarkably from the more familiar versions rolled out on stage since the early days with Nico et al. and Transformer (1972). WBCN-FM's presence warranted expectations that Reed may not have wanted or respected, but his vision is rarely blurred. The familiar resolute figure took the stage with the singular demeanor he was authorized to parade, but with the quiet seduction and subdued authority that always set him apart. Echoes proudly presents the entire original WBCN-FM broadcast of Lou Reed's astonishing performance at the Orpheum Theatre in Boston, Massachusetts, on October 29, 1976. Professionally remastered original FM recording with background liners and rare archival photos. This superb live triple LP set contains rare recordings made by the legendary Lou Reed in America, Canada, Australia, and Holland between 1975 and 1977. Taking in Velvet Underground classics, gems from his incredible solo albums from the period, and a smattering of unreleased tracks, it finds him at what is arguably the peak of his powers, and comes complete with rare photos and an illuminating background interview. Previously released on CD in 2014 (KH 9025CD). Pressed on 180-gram vinyl. Remastered sound. "The broadcast recordings included on this release showcases Lou Reed's eighth solo album, Street Hassle, which was issued in April 1978, during the most prolific period of the man's recording career." This superb live double album contains rare recordings made by rock legend Lou Reed in America, Canada, Australia and Holland between 1975 and 1977. Taking in Velvet Underground classics, gems from his solo albums and a smattering of unreleased tracks, it finds him at arguably the peak of his powers, and comes complete with rare photos and an illuminating background interview. Limited repress. Tracks: The Jades ("So Blue - Leave Her for Me" single, 1958), Lewis Reed ("Your Love - Merry Go Round" 1962 Demo), The Primitives ("The Ostrich - Sneaky Pete" single, 1964), The Intimates ("I've Got A Tiger In My Tank", 1965), Donnie Burks ("Why Don't You Smile Now", 1965), Lou Reed ("Heroin" Demo Pickwick Studios, 1965), The Roughnecks ("You're Driving Me Insane", 1965), The Beachnuts ("I've Got A Tiger In My Tank - Cycle Annie", 1965), The Surfsiders ("Little Deuce Coupe - Surfin'", 1965) and The All Night Workers (" Why Don't You Smile Now", 1965). About 10 years after their first, critically-acclaimed performances of Lou Reed's adventurous album, Zeitkratzer presents an audacious new interpretation of this 20th century avant-garde classic. Here, for the first time ever, all four parts of Metal Machine Music, played by Zeitkratzer on one recording. This new version of Metal Machine Music is even more transparent, instrumentally pure and radical than the shortened 2007 release. Live recordings from concerts in Rome and Reggio Emilia, Italy, mixed and mastered by Rashad Becker. A real sound experience! After their first performances in 2002 (documented on the 2007 CD release on Asphodel), Zeitkratzer gave Reed's album a new thorough listen and transcribed the sounds to create an acoustic score for the ensemble to play live. Those familiar with the oft-criticized two-disc album might wonder how they pulled this off, but they did, and their interpretation of the work brought it to the attention of a wider audience. It is therefore partly thanks to the Zeitkratzer version that Lou Reed's Metal Machine Music has been rediscovered as a classic of the 20th century. It was at the live performance with Zeitkratzer in Berlin that Lou Reed spoke for the first time in public about the musical details of his composition, in an interview with Diedrich Diedrichsen. Zeitkratzer was clearly ready for the challenges of performing Metal Machine Music live, and drew packed houses for their presentation of the work. This confirmed their assertion that rock'n'roll as serious contemporary music has been ignored for too long, in too arrogant a way. The relentless sound forces the mind to put aside its preconceptions about what music is supposed to sound like, or feel like, or look like. The brain starts to implode, or explode, or dissolve Zen-like into the controlled chaos of the performance, discovering a strange exhilaration, accepting an invitation to explore the outer reaches of texture and timbre, to experience a sonic freedom that's rare in any art form. These recordings from Metal Machine Music have become even more intense and worked out during the 10 years of Zeitkratzer playing it live at numerous international festivals -- contemporary music festivals, noise festivals, improvisation festivals -- it's impossible to limit this music to one genre. Metal Machine Music has gained a new quality of clarity, sound transparence and musical intensity. Real radical contemporary chamber noise music! These recordings from the Festival Romaeuropa in Rome and the Festival Aperto in Reggio Emilia (2012) present Zeitkratzer not only at their very best, the splendid mix by Rashad Becker also reveals new aspects of this 20th century avant-garde classic. Frank Gratkowski (clarinets); Matt Davis (trumpet); Hilary Jeffery (trombone); Reinhold Friedl (piano); Marc Weiser (guitar); Maurice de Martin (percussion); Burkhard Schlothauer (violin); Anton Lukoszevieze (violoncello); Uli Phillipp (double bass). "As the lead singer and songwriter of the Velvet Underground in the 1960s, Lou Reed helped invent punk rock and while writing about femme fatales, black angels and heroin. Having seen him live since the Velvet Underground, his shows are always brilliant. 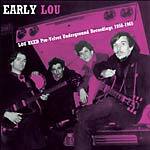 Filmed in 1972 for French television, Lou is joined by frequent bandmates from this era. A true classic." NTSC format, region 0. 5.1 audio. Running time: 45 minutes.